The Neo Guest Transmitter is our most economical guest paging transmitter. It's perfect for restaurants and businesses that need a simple space-saving solution. 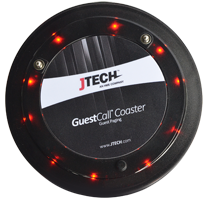 The Neo Guest Transmitter uses UHF technology and has it's own system ID, eliminating interference. It's fast, reliable and can manage up to 9999 pagers. The Neo Guest Transmitter is perfect for smaller restaurants and businesses looking to enhance their guests' experience. 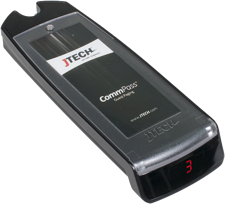 Choose from the JTECH Numeric or Rugged rechargable pagers.